For the first time, Israel’s parliament, not its military administration, has put forth rules over the Palestinians in the occupied West Bank and their property rights. Under the Israeli judicial system, the law legalises settlements constructed on Palestinian private land unauthorised by the military, so long as the settlers acted ‘in good faith’ and received some kind of assistance from the state. It also allows Israel to appropriate private land for its own use if the owners are unknown, or, if the owners are known, they will be eligible for ‘compensation’. 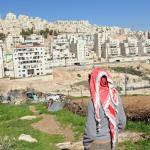 It will affect 55 outposts and 4,000 structures built on over 8,000 dunums (8 square km) of Palestinian private land. That’s just a fraction of the over half a million illegal settlers on Palestinian land and the roughly 60 percent of West Bank land that has been de facto taken over by Israel already through settlements, the apartheid Wall, closed military zones and areas designated as ‘natural reserves’. Proponents of the law are clear: this is not the start but the final step in the process of annexing the West Bank. "This is a historic step toward the completion of a process,” said MK Bezalel Smotrich said this week. Annexation has been systematically implemented since the de facto adoption in 1968 of the Allon Plan, the blueprint for Israeli settlement policy that outlined the focus areas for colonisation. These are: East Jerusalem, the Jordan Valley, the southern Hebron hills and two strategic corridors, one created by the Ariel finger line of settlements and their expansion area south of Nablus and one from Jerusalem towards the Dead Sea. The classification of Area C as part of the Oslo process and afterwards the path of the Wall have only further delineated these lines of annexation. Like most other colonial regimes, Israel has used modern private property laws to dispossess Palestinians who were not protected under the laws and few of whom had property deeds. Since 1948, several legal strategies have been used to take Palestinian land in Israel, including the so-called ‘state lands’, absentee laws, which dispossess any Palestinian that has left their land or property, and a law that bars owners from appealing any of the expropriations if a court accepts that the Israeli authority was acting “in good faith”. “Cultivation of wasteland” acts have also allowed the state to confiscate even more land. Similar practices have been applied in the West Bank. Palestinians who left in the wake of the 1967 war were immediately dispossessed of their properties. Wasteland regulations have also been applied to do the same for decades. Since 1999, the Israeli State Property Delimitation Team has worked in the West Bank to find and categorise land that is considered not to be ‘privately owned,’ which is then claimed by the state. Only around 37.5 percent of West Bank land had private property deeds at the time Israel occupied it, so the team’s work has resulted in a huge land-grabbing scheme. Starting in 2011, Israel further authorised the takeover of lands with so-called ‘undefined’ ownership. In late 2011, they informed UN agencies about plans to ethnically cleanse many of the Bedouin communities in the Jordan Valley and in the corridor between Jerusalem and the Dead Sea. Since then, land annexation and expulsion of Palestinian communities has relentlessly intensified. In Jerusalem, elaborate urban planning schemes for ethnic cleansing and demographic engineering of the city, the demolition of almost 1,000 Palestinian structures only in 2016 and a steep increase in approval of new settlement housing units pushes annexation and colonisation further. ‘Present absentees’ in the West Bank – people living in the area, but still considered absent for any legal purposes - are the only novelty in the law: even if they can prove that they own private property, no claims on the land can be made if settlers acted ‘in good faith,’ and the state can still take over private land of ‘unknown owners’. In fact, it’s not legalising land grabbing - a foundational Israeli practice - but the Palestinian people on that land and their legal status that form the crux of the law. To avoid this, the Israeli parliament had so far refrained from extending its laws to the West Bank, even though it had already issued and adapted dozens of laws relating to the settlers in the West Bank. Israel has always considered itself sovereign over the land and has never granted any claims of Palestinian self-determination or collective rights over it and this won’t change with the law. However, the Knesset now seems confident enough to start manoeuvring towards the de jure integration of the West Bank’s Palestinian population as people without rights under Israeli jurisdiction – only further proof that Israel has effectively extended its apartheid regime from its pre-1967 territory to the West Bank. The debate on the law will continue and the Israeli Supreme Court may even revoke the law for West Bank land outside Jerusalem. One thing should nevertheless remain in our collective understanding: talks about maintaining the possibility of a two-state solution or dreams of Israeli democracy should finally be set aside. The debate in the Israeli parliament on the law clearly showed that the government and opposition are both aware that the annexation of the West Bank is almost complete, and the contention now is which legal trick to use to subjugate the 2.5 million Palestinians living there. The day after the bill passed, the Israeli government responded to critics of the law arguing that Israel “will not annex territories with Palestinians. They have their own Palestinian rule and they can vote for the Palestinian parliament”. This underlines the central role of the Palestinian Authority (PA) in the legitimisation strategy of the Israeli apartheid regime. For the Palestine Liberation Organisation, this should be the final trigger to officially declare the negotiation process void, and hold Israel responsible for the failure of the Oslo Agreements and the destruction of any possibility for a two-state solution. With this, the functions that have transformed the PA into a prison guard in our own ghettos must be handed over to Israel - in line with the legal obligations of an occupying power over occupied populations or of an apartheid state in front of the citizens. Otherwise, we will continue to allow Israel to have what it always wanted: a land without people. The international community has to understand that their initiatives and resolutions that are critical of Israel only to be followed by business-as-usual interactions simply ensure that Israel can continue keeping an entire people under a brutal apartheid regime and perpetuating war crimes and crimes against humanity. The global civil society movement for boycott, divestment and sanctions has gradually built up strength in order to end this complicity. Governments should follow the same course of action. In the 1980s, still at the beginning of Israel’s annexation policies, the UN Security Council called for banning any support of the settlements and related activity, and the General Assembly passed resolutions for a full set of military embargos and sanctions against Israel. It is time to implement them now. First published in Middle East Eye.